9. Bone and joint infections. > A second generation cephalosporin, highly resistant to destruction by Beta -lactamases produced by Staphylococci & most of gram- negative bacteria. > First line treatment option due to its excellent efficacy , safety and tolerability profile. > Rapidly penetrates into bodily tissues and fluids . > Shows extended half life which allows longer dosing interval and reduction in total drug cost. > Effectively reduces the incidence of post operative infections in patients undergoing surgical procedure. > A very safe drug without causing nephrotoxicity in comparison to other cephalosporins. 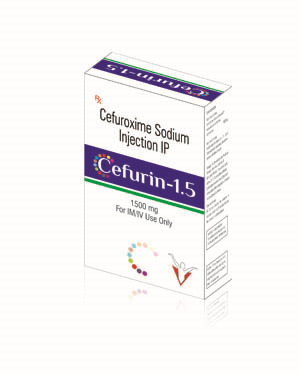 > Produces more rapid bacterial response and well tolerated as compare with cephalothin. > Provides good efficacy and better safety profile in treatment of acute bronchitis as compare to amoxicillin - clavulanic acid. > Superior to cefazolin both in terms of clinical efficacy and global utility.